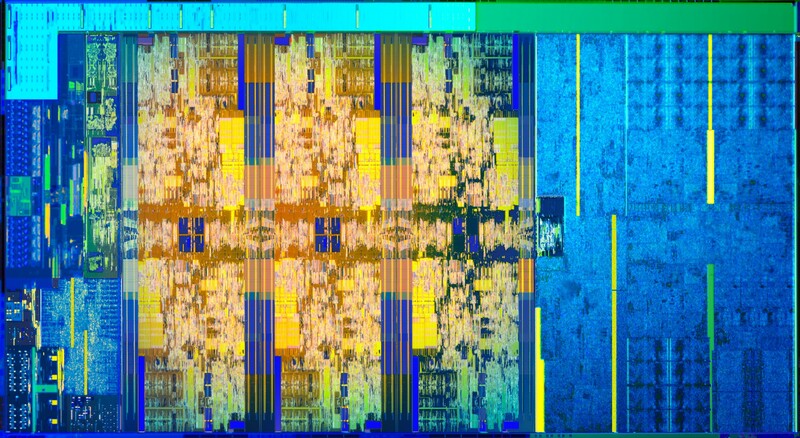 As predicted by Intel co-founder Gordon Moore, Moore’s Law, that said every two years, the number of transistors that could fit on a microchip would double, that 4004 processor has lead to Intel’s current 8th Gen consumer six – core i7 crammed with more than 3 billion transistors. 8th Gen consumer laptops and desktops arrived earlier this year. The key to more processing power for these chips was in adding up to six cores to a consumer line of computers, effectively doubling performance over last year’s models. 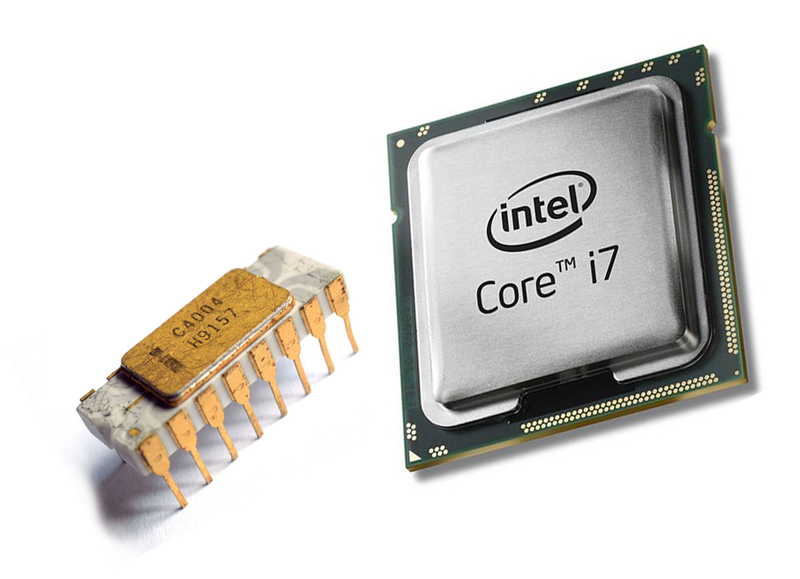 Intel hasn’t just been about CPU’s. It’s ten best technologies include the USB stick and Ethernet standards. In the past, Intel spurred creative industry solutions like sensor networked grapevines in vineyards that would ward the farmer/owner of incoming frost from the comfort of a laptop. 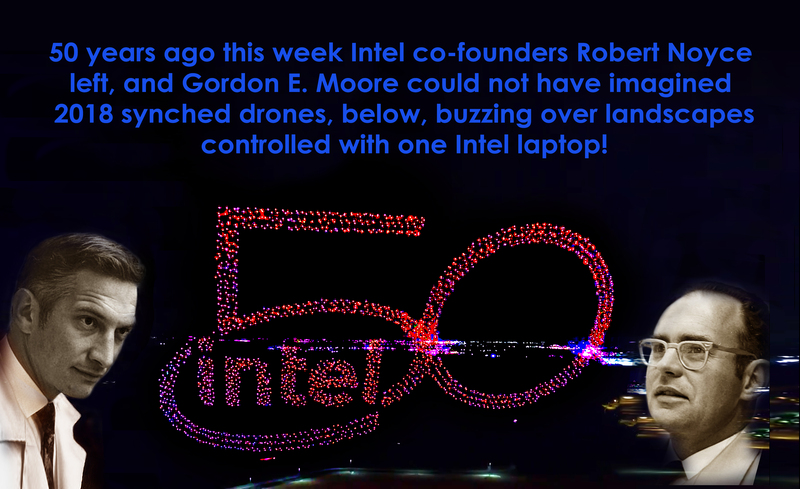 Click here for more Intel innovations in the past 50 years. Today Intel is aiming its sites on AI and the science of applying astronomical amounts of data into autonomous driving and medicine. Intel’s pure eye candy application seen in the recent Korean Olympics involved flying thousands of drones in perfect sync forming 3D objects with infinite colours. The Intel Drone Team broke a Guinness world record flying and controlling 2018 Intel® Shooting Star™ drones simultaneously off a single Intel powered laptop. But Moore’s Law is in jeopardy. Pressed by competitors like desktop and laptop chip maker AMD and cellphone chip giant Qualcomm, Intel is reaching the atomically physical limitations of how many more transistors it can squeeze in its upcoming size chips. Let’s see what the next 50 years will bring in computing technology!